When colleges and universities consider identity and access management (IAM) solutions, their impact on the student experience is often overlooked. Many think of IAM solutions as just an IT operational tool and all the focus is therefore, on finding a solution that automates identity management activities. While the IAM solutions employed by colleges and universities should serve an important role in improving processes and security, they also need to possess the functionality to deliver an optimal end-user experience. With modern IAM solutions, account provisioning can be automated to ensure day one access for students, faculty, staff, and external users. Throughout a user’s time at the university—and beyond—any changes, additional access requests, and deprovisioning needs can automatically be made to the user’s account and any downstream systems. This eliminates the risk of human error or delays preventing students from getting timely and correct access to every account and resource they need. Self-Service capabilities allow the end user to manage their own accounts. Rather than working through the help desk, students and faculty are able to quickly resolve issues, such as password resets themselves, which eliminates delays and dramatically decreases the drain on IT resources. For Lone Star College, the implementation of self-service capabilities decreased help desk calls by 50 percent, which translated to an estimated soft cost savings of $400,000 per year. Single Sign-On portals place all of a user’s unique applications and resources into one convenient portal. Students only need to remember a single set of login credentials for the portal, and then they have one-click access to everything they need. This not only expedites access to resources, but it minimizes password-related issues, since users don’t need to remember and manually enter numerous sets of differing login credentials. In higher education, users often have multiple affiliations (roles). For example, students that are also staff with on-campus jobs, PhD students that are also faculty members who teach classes, and graduate students that are undergraduate alumni. While this is common, many IAM solutions treat multiple ID numbers assigned to a single user as seperate users, resulting in students having to remember two or more credentials and juggling separate accounts the same downstream applications, such as email. However, this doesn't have to be the case; some modern IAM solutions are able to use multi-attribute matching and validation to discover matching attributes (birthday, email address, home address, etc.) that indicate multiple IDs are affiliated with the same user. Then, matching accounts can either automatically be merged or flagged for IT review. This simplifies and streamlines things for students, while cutting down on the likelihood of login issues and provisioning errors. It is not uncommon for students to require name changes, while attending college. This could be due to a number of reasons, including marriage, divorce, or a shift in gender identity. In order to avoid Title IX violations, reputational damage, and negatively impacting student experience, it’s importantly that these changes be made in timely manner. When handled manually, these changes are time-consuming, and it’s easy for IT to overlook applications when making the changes in downstream systems. Some IAM solutions, however, have the ability to handle preferred-name changes on a larger scale and automatically make name changes in all downstream systems. Automating the process eliminates delays, ensures no accounts are missed, and disables accounts with the user’s previous name are disabled in a single step. Hosting visiting students is a regular occurrence for colleges and universities. Because these students work or study at a partner college or university, however, they don’t exist in the SIS of the school they are visiting. Typically, accounts and IDs for these students must be created in an ad-hoc, manual manner by IT—often on the fly, as they may not be asked to do so until the last minute. A best-of-breed IAM solution can automate user account creation through policy-driven workflows, regardless of what kind of account is required. An easy-to-configure workflow engine turns ad-hoc access requests into light work—higher education institutions can effortlessly manage nontraditional user access, administer approvals for digital and physical resources, provide time-controlled access certification, and delegate approvals to individual function owners. Students entrust the colleges and universities they attend with large amounts of PII, financial, medical, and other sensitive data. However, higher education institutions remain especially vulnerable to hackers because of a lack of allocated security funds and limited IT staff resources. As a result, student data is being targeted and sold on the dark web at startling rates. Having an IAM solution in place can close gaps in security and ensure that unauthorized personnel cannot access sensitive systems and data. Layering access to these sensitive systems with robust multi-factor authentication dramatically increases security across the organization and ensures access is still protected, even if user login credentials fall into the wrong hands. Plus, the college or university can utilize authentication methods that leverage students' existing smartphones and risk-based authentication that only requires additional authentication if a specific risk threshold is hit to increase security without impacting usability. With modern IAM solutions, even after students graduate and are removed from authoritative systems, colleges and universities can easily continue to manage their accounts and keep their student email addresses active. This means alumni can keep their email address for life, and colleges and universities have an effective method for contacting former students long after they graduate. 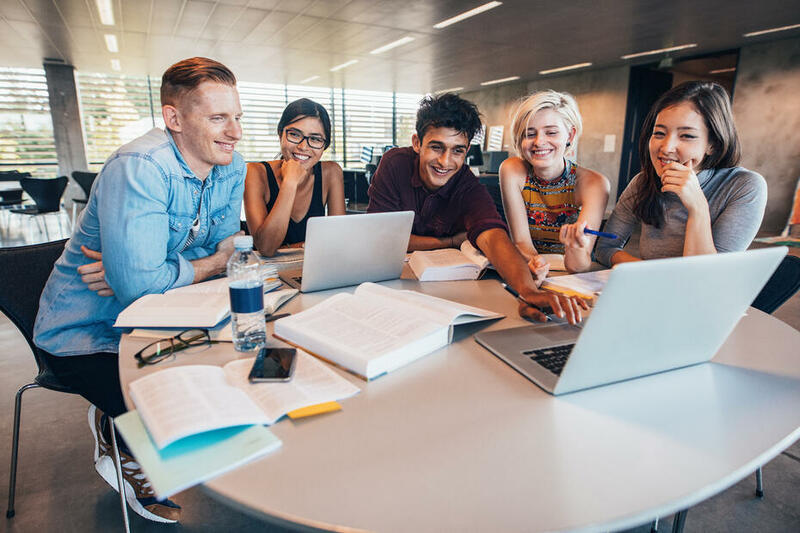 When selecting an IAM solution for your college or university, it’s important to choose one equipped with the capabilities to ensure an optimal student experience. For a full analysis on the identity, access, and security challenges faced by higher education and the ways the right IAM solution can solve for each, download our Complete Guide to Selecting an IAM Solution for Higher Education.